Merchant Adventurers’ Hall asked the question: ‘Who painted this portrait of Charles Hanson, Governor of the Company of Merchant Adventurers of the City of York?’ The portrait was listed in their records without any artist attribution, however they had an execution date of c.1833. 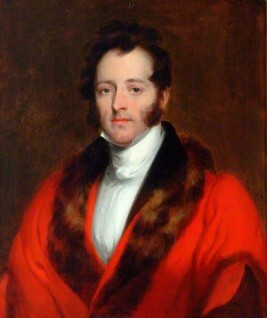 It was likely the portrait was painted whilst Hanson was Governor of the Company, between 1832 and 1834. Paul Kettlewell found an 1849 article from the Yorkshire Gazette, which was interesting to the collection, but did not mention the Hanson portrait. Who painted this portrait of Charles Hanson, Governor of the Company of Merchant Adventurers of the City of York?